The Department of Electronics and Information Technology (E&IT) is planning to facilitate implementation of pilot projects by Start-ups for various State Government Departments. 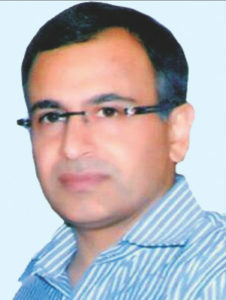 E&IT department will facilitate the interactions of the Start-ups with the department stakeholders and seed fund will also be provided for the pilot project, says Vijayendra Kumar, Managing Director, Hartron and Secretary IT, Government of Haryana, in conversation with Priya Yadav of Elets News Network (ENN). What is Haryana doing for the promotion of startups ecosystem? As part of the Hartron Innovation Hub at Gurugram, 41 Start-ups are incubated under the mentorship support of National Association of Software and Services Companies (NASSCOM) and Internet and Mobile Association of India (IAMAI). NASSCOM and IAMAI in collaboration with Hartron has setup NASSCOM 10K Start-up Warehouse, IAMAI-Government of Haryana Mobile 10X Hub and Centre of Excellence for Internet of Things (CoE-IoT). All the three centres are operational and are providing mentorship support to start-ups. Presently, 125 entrepreneurs (including 35 Women) are working as part of the incubated start-ups. The work done by some of the startups such as Skillmap, DataCultr, NotifyVistor, Ringlerr, Empass, Wonk App, ParkZap, CivilCops, Crezare Enterprise Limited have been awarded at various forums. More than 65 Events/workshops/ mentoring sessions/Industry connects have been organised in Hartron innovation Hub in span of less than one year of operations of the Hub. What are the plans of Government to provide support to entrepreneurs /startups in Haryana? E&IT Department is planning to facilitate implementation of pilot projects by Start-ups for various State Government Departments. E&IT department will facilitate the interactions of the Start-up with the department stakeholders, seed fund will also be provided for the pilot project. If the project is successful then E&IT Department will provide a certificate, which will enable Start-ups to participate in State Government tenders/Request For Proposals with relaxed eligibility criteria. In case the Start-up with solution not directly relevant to the Government, the State Government is working on making provisions such that seed money as per the Start-up Policy of Haryana can be provided. The State Government is also working on revising the procurement norms such that the solution developed by Startups can be easily procured by the Government. A Seed Grant up to Rs 3 Lakhs per startup shall be seed funding to start-ups would be routed through State/Centre recognised incubators. The State Government shall create a corpus of Rs 15 crore for seed funding of start-ups incubated in these incubators and would help in fructification of at most 500 ideas during the policy period. In case the Start-up is seeking funding through privately run incubator, the incubator shall match the seed fund given by Government under this policy. The seed grant is provided for validation of idea, prototype development, assistance towards travelling costs and carrying out field/ market research/ skill training/ marketing and initial activities to setup a start-up etc. 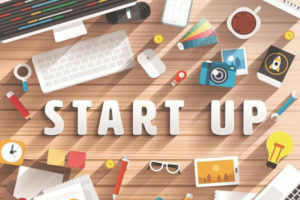 The State Government shall set up a fund with an initial corpus of Rs 100 crore for category I funding to meet the funding requirement for scalability of Startups to be invested over a period of five years as the Alternative Investment Fund (AIF) identifies investment opportunities. The mandate would be given by state government to make 10 percent contribution in the total corpus of the VC Fund subject to the condition that VC invests twice the amount contributed by the State Government in the start-ups based in Haryana. The proportionate return or proceeds from the Venture Funds shall be remitted back to the FoF. This returns along with Capital gains shall be used to continue to fund Venture Funds to continuously support rapidly growing start-up eco-system. The purpose of the Fund is to support the Start-ups in scaling up of their operations.